MICHAEL VICKERS is Professor Emeritus of Archaeology at the University of Oxford, an Emeritus Fellow of Jesus College, and former Curator of Greek and Roman Antiquities at the Ashmolean Museum and Senior Research Fellow in Classical Studies at Jesus College. He has also taught at University College, Dublin, the University of Libya in Benghazi, the University of Texas at Austin, and the University of Colorado at Boulder. 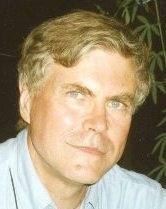 He has been a Visiting Member of the Institute for Advanced Study at Princeton and is a Corresponding Member of the German Archaeological Institute and of the Archaeological Institute of America. He was co-director of the joint British-Georgian Pichvnari Expedition 1998-2010, and Chairman of the Friends of Academic Research in Georgia 2005-2010. He is Dean of Degrees of Jesus College, Oxford.